need help to ID WW2 casualties "R.W. Anderson", "A. Armstrong", "S. Thompson", "G. Porteous", "J.H. Madden"
and WW1 casualty George Slater. 5 years later. 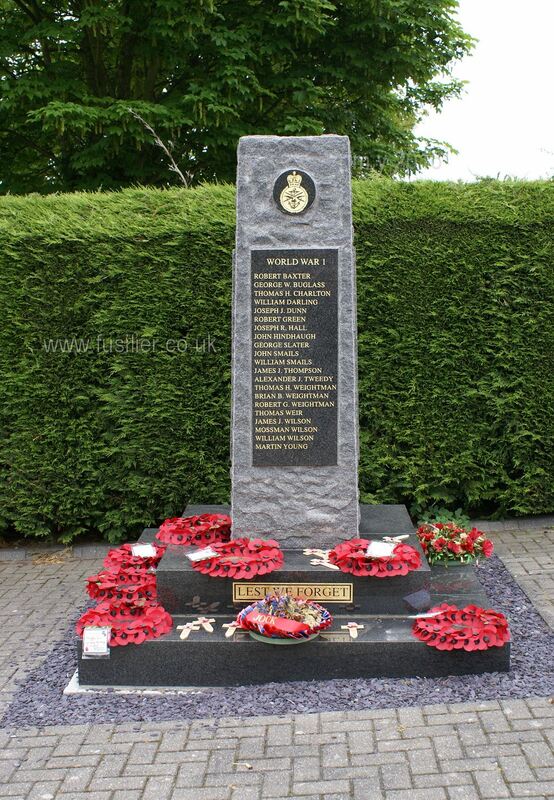 Passed the new Shillbottle war memorial the other day; and actually remembered to take the camera. So here it is. 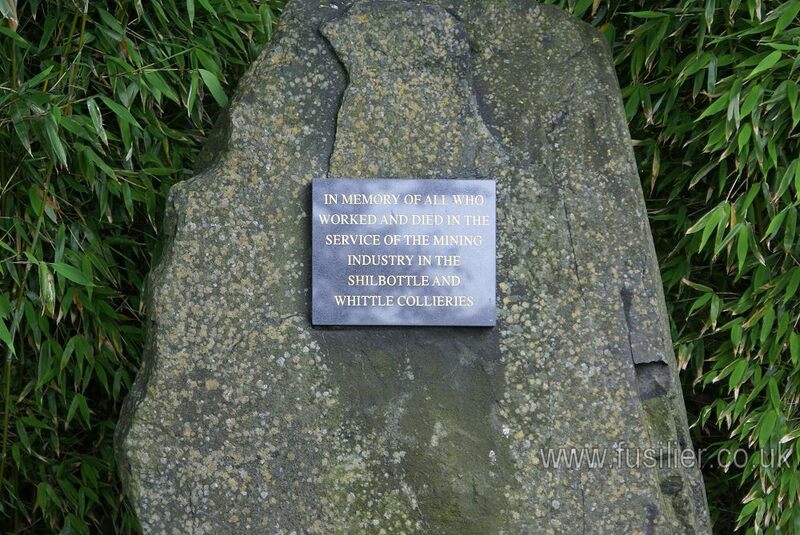 It has a very nice memorial garden attached with a small memorial to the miners killed at Shilbottle and Whittle Collieries. 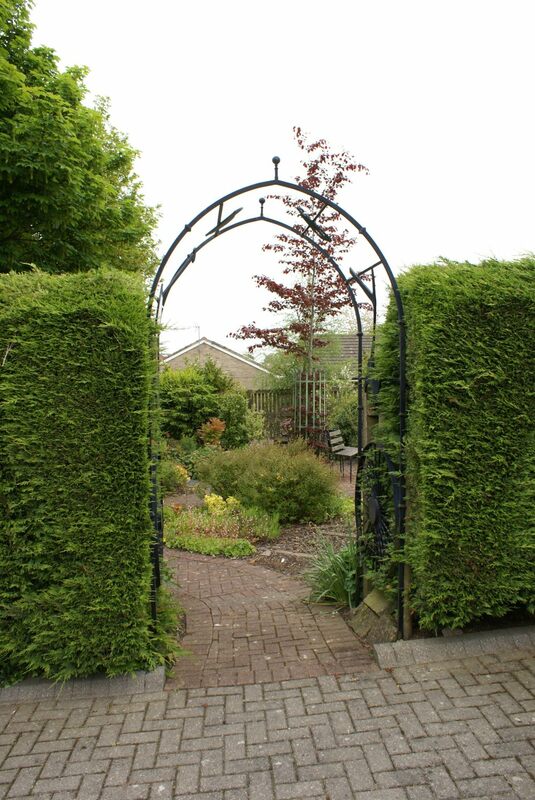 Entry to the garden is via a iron arch decorated with the shapes of mining paraphernalia. 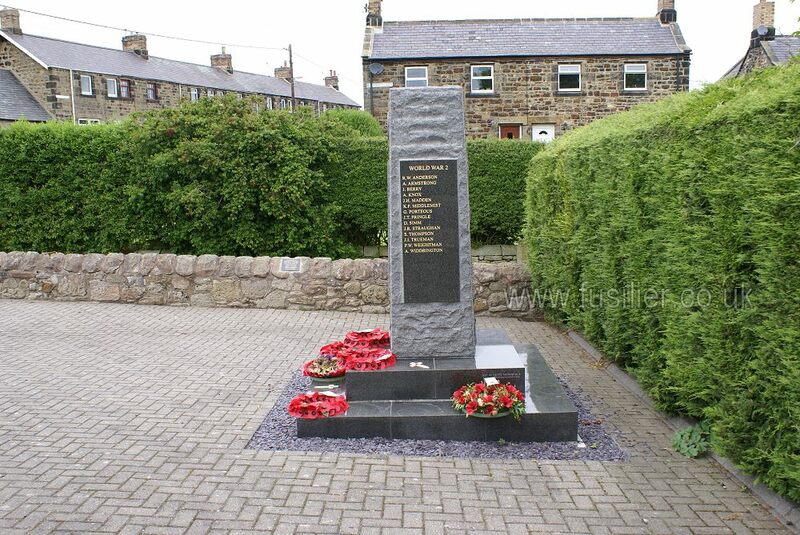 On the subject of missing war memorials, i.e. 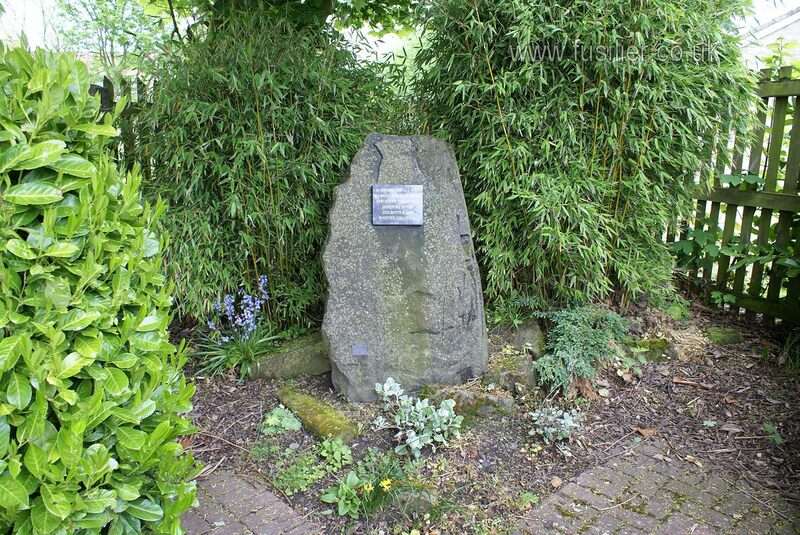 towns that never erected a memorial in the first place, I'm under the impression Pegswood is such a place. Seems strange not to have one? 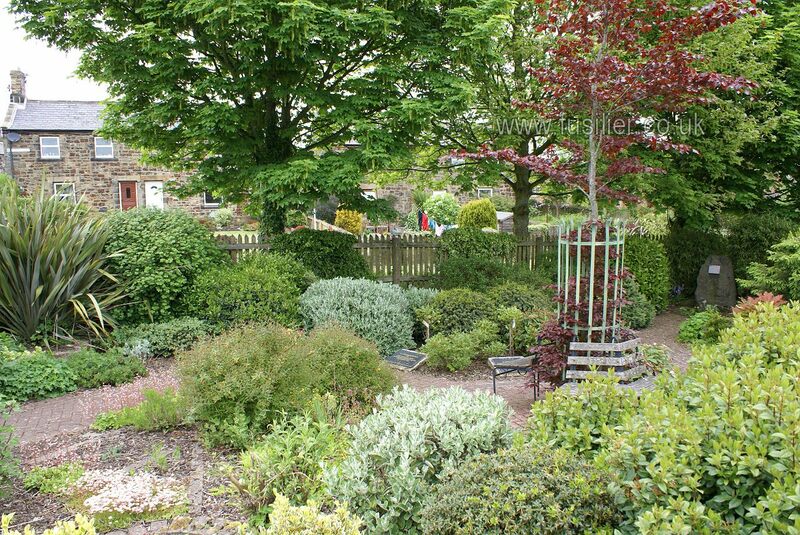 What a lovely spot, thanks for the photos Coquet. 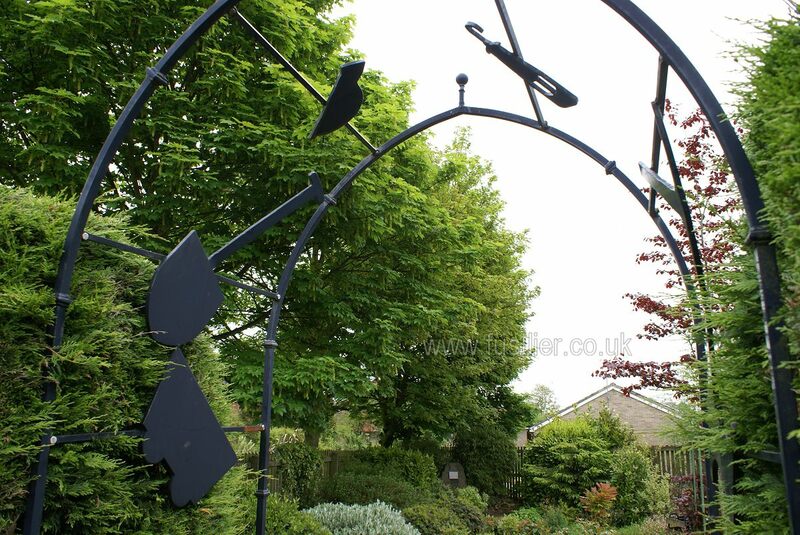 Is the arch the work of the Red Row blacksmith, do you know? Not sure who did the steelwork. Not many fabricators around here now so Red Row a distinct possibility. I picked up a 'Buglass' WW1 medal (survived the war) recently - allegedly from 'Alnwick' now wondering if he was from Shillbottle and related to the Buglass recorded here. Once I remember where I have put it I'll have another look into it. 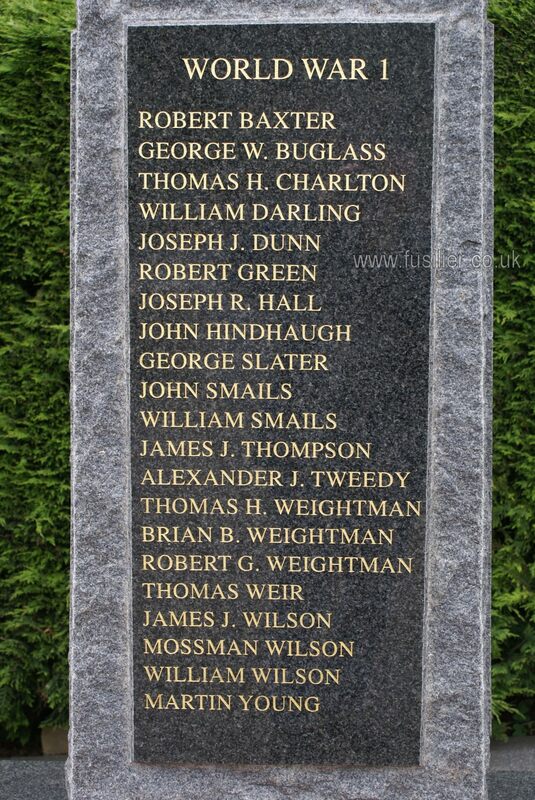 I was at the National Archives (LDS London Family History Centre) yesterday browsing the Shilbottle parish register as you do when I came across an entry for George Slater, a WW1 death on Shilbottle war memorial. Just checked the civil registration deaths....he is a 1916 death. On the 1911 census he is living with his parents at Shilbottle and is a carter for a road contractor. He died in Graylingwell War Hospital in Chicester on 3 October 1916. His death certificate shows that he died of Osteomyelitis (10 months) complicated by Sepsis and Heart Failure. He doesn’t appear on the CWGC website. I believe that as he died of illness not wounds he did not qualify for an Official War Grave even though he almost certainly contracted his illness as a result of being in the trenches. 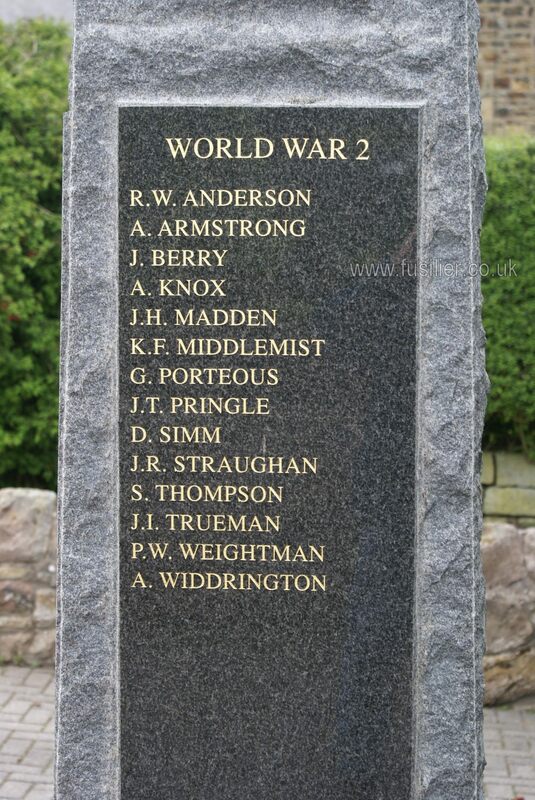 As part of the In From the Cold Project, on 19 November 2015 his name was added to the WW1 Commonwealth War Dead Roll and he is now commemorated in the UK Book of Remembrance. 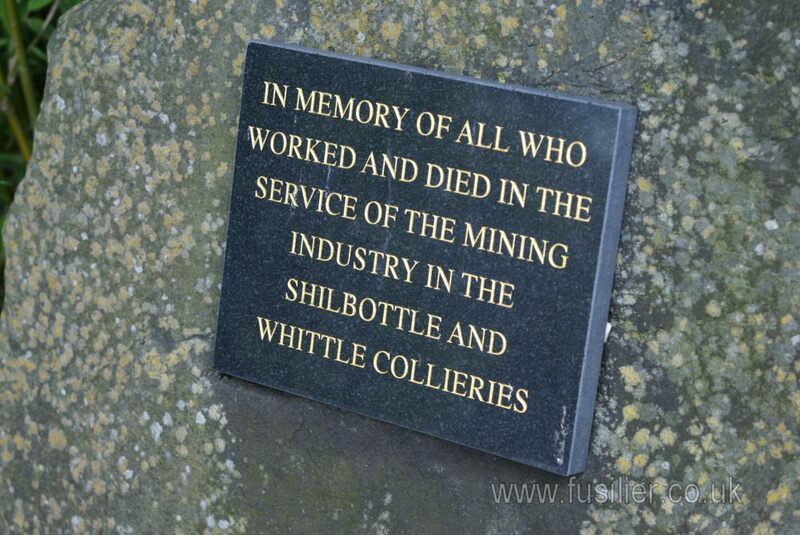 He is buried in Shilbottle Cemetery. 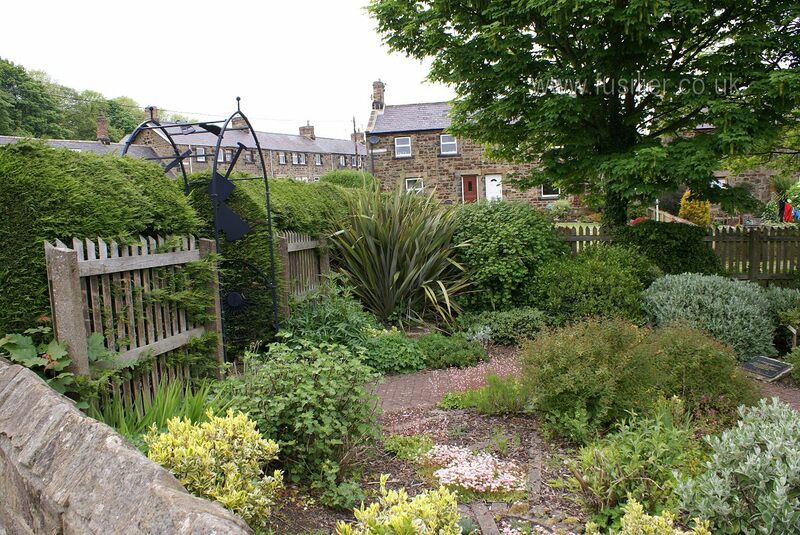 George Slater was born on 25 April 1890 in Shilbottle and in 1911 was living with his parents William and Margaret Slater in Shilbottle Village. His occupation is shown a Carter which ties in nicely with his Army role. George Slater will be getting a CWGC grave stone at long last. What was the name of this Buglass? David, think now he lived in Alnwick, joined the Tank Corps after the war. Why do the Mormons have the Shilbottle parish register Janwhin? thought that would be in Woodhorn? or is it a copy? If you look at all the microfilms of the parish registers at Woodhorn they were all filmed by the Mormons. It's the same across most county archives. I think the deal was that LDS Church would film all original registers in return for getting a copy for themselves and storing them in the Utah salt mines! The London LDS centre is the main one in this country, I think the nearest in the north east is at Sunderland. London has a lot of microfilms on their premises which you can check out on their online catalogue, otherwise they can order them up from Utah. I thought they might have amassed collection of original registers for a moment, only viewable in their archives or something. I've not managed to find any connection between this David and the Shilbottle Buglasses unfortunately. 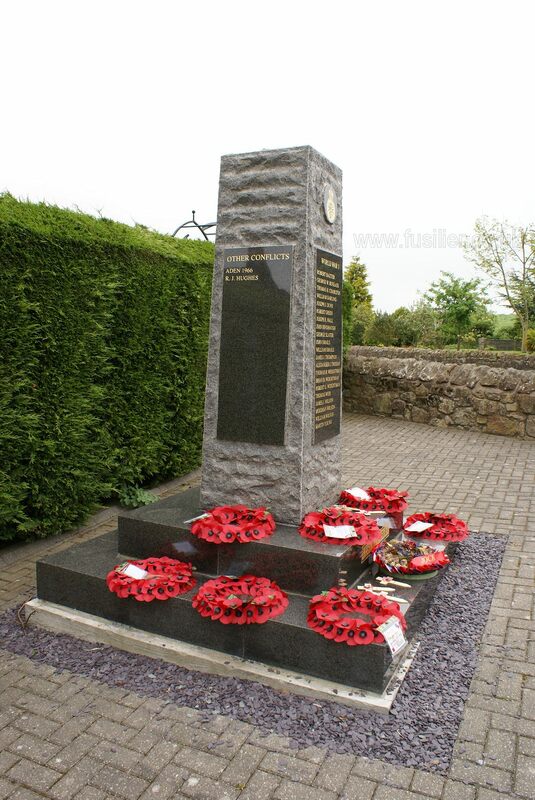 As a living relative of George Slater I was contacted by the CWGC in November last year. Apparently their Regional Supervisor has visited Shilbottle Churchyard but as there are no plans of the Churchyard he could not locate the actual grave. A headstone bearing the inscription ‘Buried elsewhere in this Churchyard’ will be erected in a suitable location by the middle of this year, not the same as marking his actual resting place but going some way towards righting the mistake of 1916. R.J.Hughes Aden 1966.Which branch of the service was he? I notice that Find My Past has these records, but the dead from this conflict are not dealt with by CWG.